With Mount Vernon Estates only a couple of miles down the road, we’ve been there many times since we moved to Virginia. I’m glad we purchased the annual entry passes ~ at only $28.00 per person for the year, it has saved us a lot of money. Mount Vernon is very dog friendly and allows dogs anywhere on its grounds but not in the buildings. We’ve been there with most of our visitors so I usually skip the house tour. The regular house tour consists of the first and second floors but during the Christmas holidays, they open up the 3rd floor for viewing. 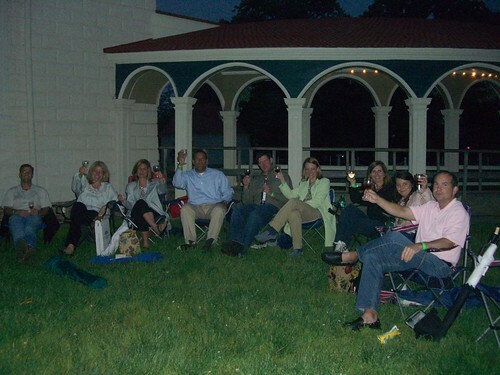 Recently, we attended the Spring Wine Festival and Sunset tours. This time the basement/cellar, which is rarely open, was available to visitors. It was small and oh, so musty but I enjoyed seeing it. The festival featured 17 Virginia wineries. Unfortunately, I was the designated driver so I only tasted a couple of wines early on in the evening. As we were leaving, there were lots of taxis waiting for fares so we will surely go that route next time. Speaking of next time, that’ll be in the late September when they host the Fall Wine Festival. The tickets cost $35.00 per person so it’s not an inexpensive evening but it sure was fun to attend with a large group. We set up our lawn chair in between the wine/food tent and the house. Perfect spot with easy access to the wine tasting and we could still hear the band. Wine valet is available for case purchases. 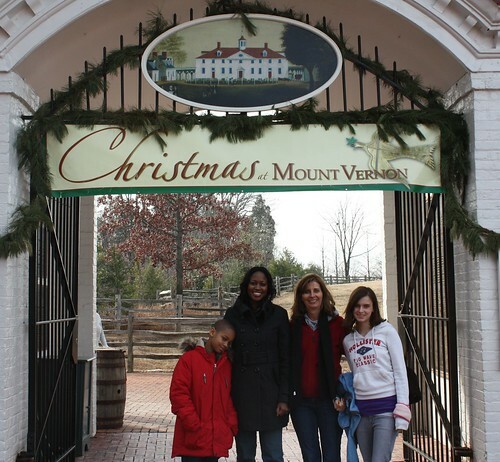 Mount Vernon has a lot to offer and I highly recommend it ~ anytime of year.